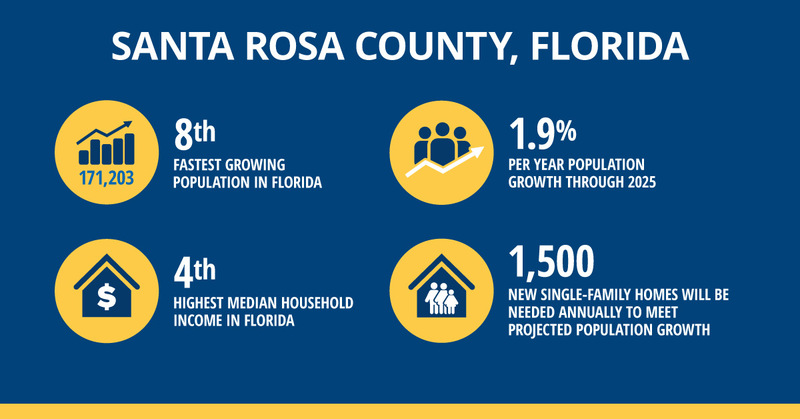 Santa Rosa County’s population boom could reach a record 180,000 residents by 2020, according to the University of Florida’s Bureau of Economic and Business Research. That’s up from 117,743 in 2000. The Bureau of Labor Statistics shows Santa Rosa County has a 3.2% unemployment rate — down from a 2010 peak of 10 percent. 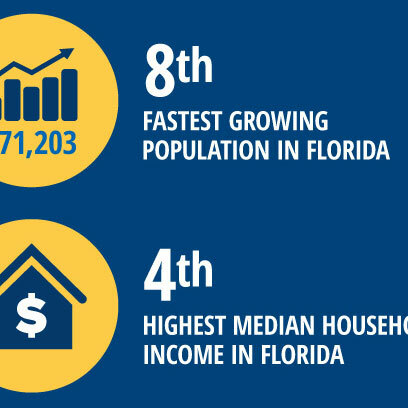 Even though Florida is one of the fastest growing states at 7.8% over the last years, Santa Rosa County is outpacing the state average. Homebuilders in Santa Rosa County will need to build nearly 1,500 homes a year over the next eight years to keep up with population growth in the county, according to a housing study commissioned by the Home Builders Association of West Florida. Large numbers of retiring military personnel choose to settle in Santa Rosa County. 72% of the 2015-2016 mortgages in Navarre were VA mortgages. These individuals and their spouses are a remarkable benefit to the area workforce. Young families are attracted to Santa Rosa County for the quality of life and the excellent public school system. The School District consistently gets an 'A' rating form the Florida Department of Education and is ranked #8 out of Florida's 67 counties. Santa Rosa County is booming but still committed to retaining the quality of life that attracted people in the first place.